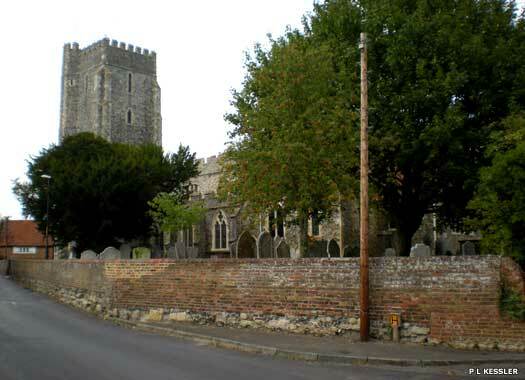 St Catherine's Church Manston stands on the eastern side of Preston Road, overlooking the northern side of the junction with Manston Road, near Ramsgate. 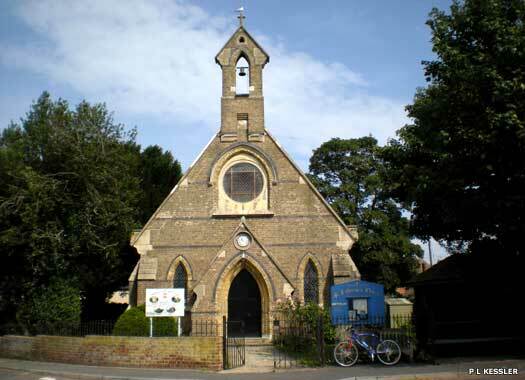 The church was a Victorian construction, built in 1872 in yellow brick by the Reverend George Wilson Sicklemore, vicar of the nearby St Laurence-in-the-Isle-of-Thanet. He needed another chapel to tend to the villagers in this distant part of his parish. It is unclear whether the church now has its own parish. Manston (Wesleyan) Methodist Church stands approximately 180 metres (yards) along the High Street, to the south of Manston Road, on the left-hand side. 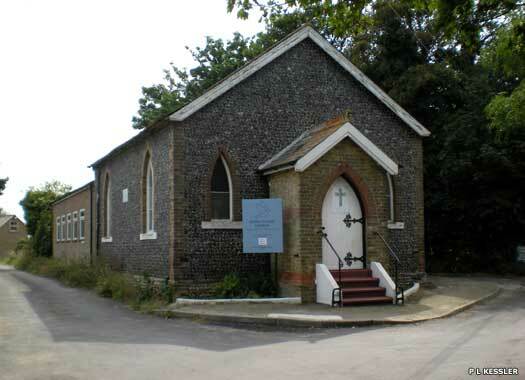 Methodists were at work in a small chapel built in 1834 in Manston, although where is uncertain. The present church was opened in 1856 and the old one was sold. 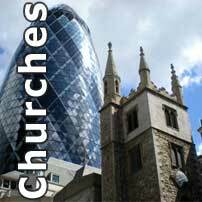 Following the Second World War all forms of worship decline and the church was closed in 2006. Today it is home to the Living Waters Church. 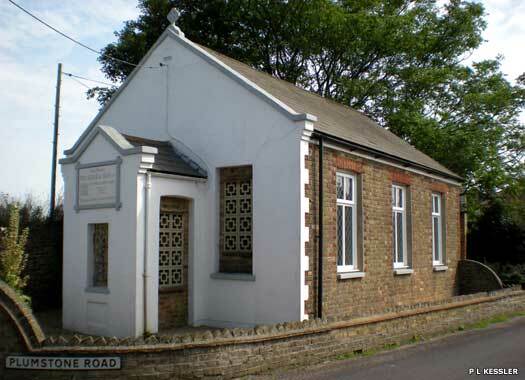 Acol Chapel stands inside the v-junction formed by The Street and Plumston Road in Acol, near Westgate-on-Sea. The chapel was founded as Acol Methodist Chapel, and it existed by 1881, probably being built no more than thirty years beforehand. It closed in 1966 and was immediately purchased by W S Cole & Son Ltd Funeral Directors, Monkton Street, Monkton. The business began with William J Cole in 1891, when he purchased a 200 year-old local operation. St Mildred's Church Acol lies in a secluded plot on the northern side of Plumston Road, just a few hundred metres west of the junction with The Street. 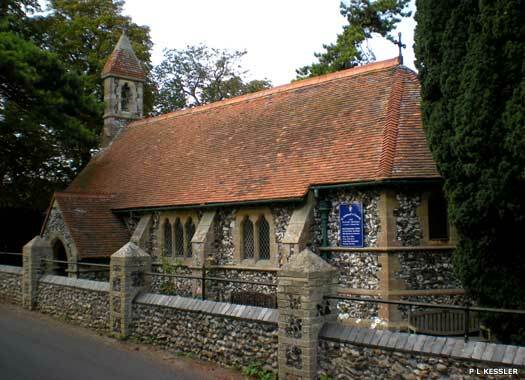 Acol required its own church by the 1860s, rather than relying on All Saints Birchington. It was built in 1876 as St Giles' Church, after the now-lost church at Sarre. It gained its present dedication in 1886. St Nicholas Chapel at Woodchurch existed in 1563, but later declined and fell into ruin, disappearing completely. St Nicholas-at-Wade stands at the north-east corner of The Street and Shuart Lane. The village gained its name from being situated close to a wading place, or ford, across the River Wantsum to the Isle of Thanet. 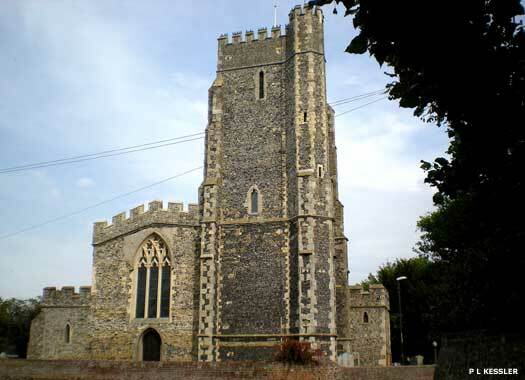 The church was constructed, seemingly complete with tower, as a chapel of ease for St Mary's (Old) Church at Reculver. Its first rector was appointed in 1294. The building consists of three isles and three chancels, and a square west tower with five bells. The building is of flint, with windows, doors and quoins in ashlar stone. It gained its own parish, and this was joined with the little-known and short-lived nearby parish of All Saints Shuart in the medieval period, while in the mid-sixteenth century it gained the parish of St Giles, Sarre. All Saints was allowed to disintegrate completely. Nearby St Nicholas Court has a fine example of a medieval underground chapel, although little is known about its origins or past use.